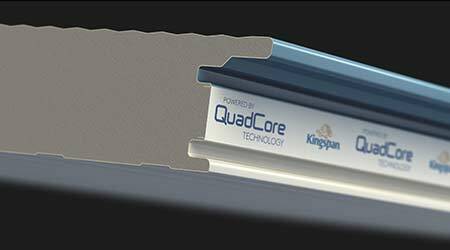 Kingspan’s QuadCore Technology utilizes a hybrid insulation core with a closed microcell structure that delivers thermal performance, fire protection, and health and wellness. Thermal Performance: QuadCore performs at R-8.0 per inch, around 11 percent better than standard PIR insulation, and is around twice as efficient when compared to mineral fiber when used as the core material in insulated metal panel systems. That thermal performance allows a thinner panel to be used and still achieves a high R-value. Fire Protection: Panels featuring QuadCore were the first to be certified to FM 4882 standards for use in smoke-sensitive occupancies. This technology outperforms the competition with reduced flame spread (ASTM E84), higher flash ignition temperature (ASTM D1929) and 20 percent less heat released (ASTM 1354). 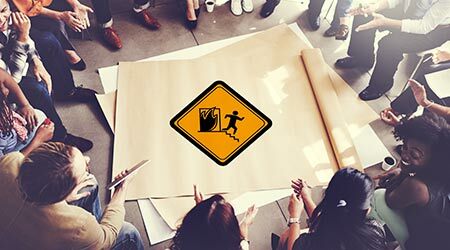 Health & Wellness: QuadCore’s third-party certifications include GREENGUARD Gold and a Silver Level Material Health Certificate, earned through the Cradle to Cradle assessment. In addition, QuadCore is Red List Free, so it can contribute to credits in health and wellness certifications, such as WELL, the Living Building Challenge, LEED v4 and BREEAM. When Kingspan QuadCore panels are ordered with Valspar’s Fluropon Pure coatings, the entire panel earns a Red List Free declaration.